Domestic workers are a lot more protected in the new South Africa because there are laws that take care of their rights. The s e laws inc lude the Unemployment Insurance Act and the Basic Conditions of Employment Act: Domestic Workers Sector. The Unemployment Insurance Act says that if you are a domestic worker, you must be registered with the Department of Labour. This will let you claim money from the Unemployment Insurance Fund if you lose your job. Even if domestic workers do not want to be registered, their employers must register them. If your employer fails to register you, he or she could be fined up to R500 000. Employers of registered workers must pay two per cent of a worker’s pay per month to the Unemployment Insurance Fund. The employer can take one per cent from a worker's pay as the worker’s contribution and add another one per cent as the employer's contribution. This means the employer and the worker contribute one per cent each. The employer must send the money to the Unemployment Insurance Fund every month. Minister of Labour, Membathisi Mdladlana, said in 2003 the Unemployment Insurance Fund paid more than R65 million to about 74 000 domestic workers. This was after the law was extended to protect domestic workers. So far, the Fund registered more than 657 000 domestic employers and 500 000 domestic workers. 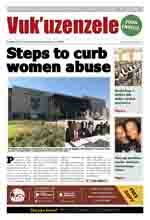 Mdladlana said the law aims to bring back domestic workers' pride. Their rights are also human rights and they deserve to be treated with respect, he said. Most of the people in this sector are women. The majority of them work in kitchens and are often illtreated by their employers. The Basic Conditions of Employment Act: Domestic Workers Sector sets out the lowest possible wages, the number of hours domestic workers should work and the number of leave days they get. The law includes housekeepers, gardeners, nannies and domestic drivers. 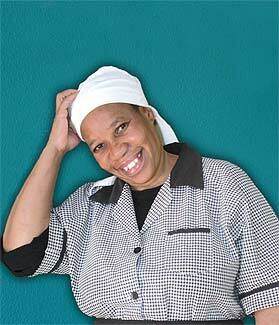 It states that the lowest monthly wage for domestic workers in the cities is R997,04 and R808,92 in rural areas.